Nicaragua is once again extremely polarized. It is enough to compare different posts on our nica-update to see diametrically opposed views of the ongoing crisis. We post them not to imply that each perspective is equally true, but rather to recognize that important segments of the population hold contradictory views of what is happening and its underlying causes. Even more important are its implications for the future governability of Nicaragua –for any government to be sustainable, it will need to find a way to incorporate the interests of those holding the opposing viewpoint, no matter how “mistaken” they may be judged to be. We certainly learned this lesson at the end of the “contra war” in the early 1990s. 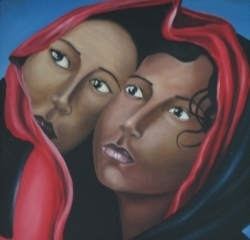 To contribute to the development of this understanding of the conflict, our close ally in Nicaragua, Augsburg University´s Center for Global Education and Experience, has developed an online course that delves into those two perspectives. The Crisis in Nicaragua: U.S. Destabilization or a Democratic Movement? For our part, given that our major focus for the last few years has been accompanying Nicaraguan cooperatives, we have redoubled our efforts to support their economic and social enterprises in spite of the risks in these times of crisis, because we see them as potential oases of peace. Cooperatives generally have members of different political and religious perspectives who come together to achieve economic and social benefits for their members. By nature, they have to negotiate the accomplishment of common goals with members from different viewpoints. Furthermore, the history of Nicaragua is full of examples where political violence starting in urban areas ends up claiming many more rural lives, as both sides recruit peasants by offering to meet their historic demands when they come to power. But consistently, after the conflicts end, while a few might end up benefitting, the effective political power of the peasantry remains largely unchanged, in spite of the many promises. We see our contribution in this context to be helping cooperatives be successful economic and social enterprises in these difficult times. Because when successful, they contribute to the sustainability and stability of their territories, and thus lessen the attractiveness of purveyors of violence. The problem is that because of increased country risk, credit to the countryside from both banks and microcredit organizations has largely dried up. No access to credit severely cripples the ability of cooperatives to play this role in their communities. Since 1997, WPF has lent $3.7 million dollars directly to cooperatives and grassroots rural organizations, and has lent another $7.5 million to national microcredit institutions founded to support the rural sector. Even though these numbers show we are a small overall player, we intentionally set out to lend to groups that had never before managed a loan, precisely to help them establish a credit history, and thus open up other sources of credit to them. As a result, a number of cooperatives, and one now very large rural microcredit organization, have “graduated” to the point where they have “outgrown” the amounts we can provide, and now receive much larger amounts from a variety of lenders. But as a small, private foundation (i.e. one that does not receive donations from the public), we cannot survive very long if those loans are not repaid. Correspondingly we have an overall loan loss rate of only 3.59% in this same period. Even in this time of crisis, WPF has made loans to grassroots cooperatives worth just under $168,000 in this 2018-19 coffee cycle. But the risks only increase with this next coffee cycle, as economists point out Nicaragua now faces macroeconomic instability. Economic actors continue to send dollars outside the country, and international reserves continue falling. Specifically, this raises the specter that even though we make loans to grassroots coffee cooperatives, and they are able to export their coffee, once the payment for their coffee enters the country, the government may not allow those dollars to leave, thus making payment impossible. The only way around this problem is to “triangulate” the loans, i.e. include the international buyers in the loan contract, where the buyers, once they have received the coffee, agree to transfer the amount of the loan and interest directly to WPF´s account in the US, sending the remainder to the account of the cooperative. That way the cooperative does not lose access to an international lender for not being able to make a transfer of dollars to the US. We have already used this mechanism with a number of cooperatives. But given the new risks, we realize it has to be required for all our loans. The problem is in this last coffee cycle the number of contracts between cooperatives and international buyers actually dropped precipitously, while the number of contracts with “local buyers” increased to a similar degree. This strategy would not work with local buyers, because their payment to us would still have to overcome the hurdle of sending dollars outside the country during a possible ban. Yet our research has shown that these local buyers are actually exporting all the coffee they buy. Given the uncertainty, it appears that previous direct international buyers are working through these intermediaries to source their coffee. This means that in this time of crisis, cooperatives are getting even less value for their coffee, as these intermediaries take a chunk of the money that previously went directly to them. Just when cooperatives need to be supported to promote local stability, they are even more hobbled by the new buying methodology. WPF for some time now has been working with a team that accompanies some 50 cooperatives. Even before the crisis our team had been working with the cooperatives on issues of internal organizational effectiveness, equity, transparency, and effective member participation. Now as a contribution to peace, we are willing to continue lending to these cooperatives, in spite of the risks. We want to form an alliance with coffee and cacao buyers interested in making a concrete and real contribution to peace in the countryside by buying directly from grassroots producer cooperatives. This is particularly important for this next coffee cycle. 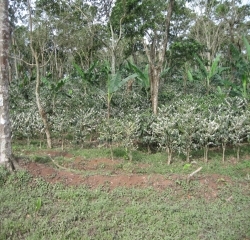 We would not expect buyers to buy anything less than quality coffee, and the cooperatives we work with, in addition to providing the normal samples required by buyers, could also provide them with abundant information about their members, as many of them have done internal surveys, and even facilitated their member families developing their own “Family Investment Plans”. Such an alliance would provide quality coffee to buyers, and would provide important income to coffee producers, thus enabling them to be oases for peace in their territory. In this sense, drinking coffee coming from such an alliance would effectively be an act for peace in Nicaragua. Buyers and roasters interested in contributing to peace in this way in Nicaragua can contact us at marklest@gmail.com. We would also appreciate support from any readers in helping us make contacts with coffee buyers and roasters. As one who has tended to be drawn to the Fair Trade (FT) label on a wide range of products, I have always been pleased that some of our cooperative partners in Nicaragua are part of that movement. Their participation has simply felt right, and just, as they have sought to connect with a consumer base around the world which has been eager to support the small producer effort. It has seemed a “win-win” circumstance about which both the end user and the producer could feel good. But there is a growing cause for doubt about both the fairness and the trade in FT, and reasons for all of us to take a closer look at the evolution this once- (and future?) empowering concept. In a very well-researched and analytical article authored by researcher(and consultant to WPF) Dr. Rene Mendoza, he has undertaken a close look at cooperatives in Nicaragua and other Latin American countries , to assess the effectiveness of the FT movement. After studying the symptoms and complaints of the cooperative “patients,” he has also offered a detailed diagnosis of the ailments, including contextual analysis of the pathology which is draining the energies from cooperatives and their members. His conclusions should provide all parties interested in the FT ideals with both understanding of the disease and hope for its cures. Dr. Mendoza attributes no blame for the spread of the unhealthiness, but does identify the complicity shared by all of the actors within the FT chain, from producer to consumer. He identifies both the malady and its contagion points and has created a clinical treatise on where it leads if the disorder isn’t treated. The best news is that Dr. Mendoza’s article includes several prescriptions for healing and recovery. He does not offer a magic pill for immediate wellness. And restoration of confidence in a system that initially hoped to marry producers with well-intentioned consumers, in a win-win undertaking, will require serious treatment. Like any well-considered rehabilitation, the restoration to full health is likely to be slow and demanding. It will require patience, discipline, a collaborative mindset and re-focus on values. But full remission is possible. Read it. It may change your thinking about that next cup of coffee, or that recent chocolate bar and the truth about how it may have reached your home…. “I am fine”, he says, while in the jaws of an alligator. Popular saying. Every cloud has its silver lining. Old saying. The parable of the “boiling frog” says that if we put a frog in a pot of boiling water, the frog will immediately jump out of the pot; on the other hand, if we put the frog in temperature that is low, and do not scare it, the frog will remain there; if we then increase the temperature, the frog will not do anything; the more the temperature increases, the more dazed the frog remains, and even though there is nothing keeping him from getting out of the pot, it will not leave; and ends up being boiled. Organizations (members and organizations) tend to be like the frog, in the face of sudden events (coups, electoral results, unpopular decrees) they react and take to the streets; while in the face of a gradual dispossession of their resources and even their own organizations, they tend to adapt, some even enjoy appearing to be victims, and when they realize it, they are already “boiled” like the frog. In this article we present one of those organizations, the La Voz Cooperative, located in the municipality of San Juan La Laguna (in the Lake Atitlán basin), Sololá Province, Guatemala. We studied their process of awakening, and then, so that they might continuously keep themselves awake, and at the same time contribute to a formation with justice, we suggest an important collaboration between the cooperatives and the universities. I visited them in 2004 and again now in 2016. In 2004 the historical tensions that existed in the municipality of San Juan and San Pedro over land and other resources were still felt, in fact some people from San Pedro continued buying land in San Juan and had the best coffee fields in the municipality; the chalet owners (mostly foreigners and people from the city of Guatemala) took over the shores of the lake, one of the 7 marvels of the world. The La Voz cooperative had their wet mill, they stood out for their frequent rotation of leadership, while the organic coffee yields of their members were equivalent to 60% of conventional coffee yields. In 2016 the picture I found was very different. Some people from San Juan had purchased land and coffee fields from people from San Pedro and almost none of that previous tension between San Juan and San Pedro was felt. Hurricane Stan in 2005 and Tropical Storm Agatha in 2010 made the water level increase in Lake Atitlán, and with that a lot of land in dispute disappeared. The cooperative is changing; in addition to a wet mill, now they have a cafeteria where they roast 5% of their total coffee and they sell it packaged and in cups of coffee; 95% of the rest of the coffee they export; they have a clinic for women; they produce organic fertilizer to sell to their members; the coffee quality has improved (cup scores of 94 and 95) and their yield is the reverse of 2004, now their conventional coffee is equal to 60% of the per manzana yield of their organic coffee. Some of their members are buying land again. “If you do not flip the tortilaa, it burns.” The cooperative had flipped the tortilla, taken a big leap, and along with the cooperative San Juan had also improved. What were the keys that openned the door of improvement for the cooperative in a matter of 12 years? Paradoxically, the principal key was undergoing a harsh crisis and waking up right before “getting boiled.” Between 1993 and 1995 the cooperative received a loan for nearly a half million dollars from a social bank and two userers; and in that same period doubled the amount of their organic coffee exports, buying another 50% from third parties and passing it off as fair trade and organic coffee from the cooperative. The cooperative did not receive most of that loan, and did not receive anything for the shady deal for the other 50% of the coffee (earnings for the purchase and sale of coffee to a friendly market that was paying a good price + US$20/qq fair trade premium + US$30/qq organic premium). This obviously was possible thanks to the complicity of part of the board and the administrative staff, who acted behind the backs of the cooperative, even though they did do it in their name, with the complacency of the certifiers, banks and coffee buyers, who obviously saw the numbers double on paper and kept quiet. “If a member spoke well, we would say that that member was good, we would say let him be president, and we would nominate him for president. We would trust what the manager or president would tell us: “such and such a project is coming…sign here.” That is fine, we would say, and we would sign. We would not verify the minutes to see how it had been left. They only would come to tell us. We signed and we signed. There was no control over the travel allowance of the manager, nor over the salaries that they got. We let them sign the checks for the employees. The manager in one period was even the legal representative of the cooperative. We would change everyone in each period, there were meetings, but we did not know how to exercise those roles. The credit committee would allow the board to authorize the loans, and we would say that that was good. As the legal represenative the manager would negotiate and talk with the buyers and the banks; we were afraid to talk with a business person and we were happy that the manager did so. Going to the capital was something we really did not want to do…” (board member of the cooperative). With all these points and the decisions that they made, they had taken a giant step: waking up in time and getting out of the “pot.” Nevertheless, this did not guarantee them that they would not fall into another “pot”; in addition they were “half boiled” by the time they got out; the members did not trust their cooperative, while many aid agencies withdrew, and other suggested closing down the cooperative and founding another one. How did they rebuild trust and move forward again as a cooperative? They put their house in order, they defended themselves against legal suits, they negotiated their debts, and at the same time they invested and found good markets for their principal crop, coffee. First, the cooperative learned the lesson that the associative side of the cooperative (board, oversight board and committees) had to understand AND manage the administrative side of the cooperative (cafeteria, exports, fertilizer production, administration, credit, clinic), and had to be zealously careful with the decisions that each side (associative and business) had to make. This lesson they began to put into practice. Secondly, the cooperative, with its bodies and management, built beneficial relationships with different actors. With aid organizations and the State, administering resources efficiently. With social banks, honoring their debt, in spite of the fact that only part of those resources had gotten to the cooperative, and the fact that the social banks had failed in their scrutiny mechanisms to ensure that the loans went to the cooperative and not a small mafia. Building relationships with a new organic certifier, looking for one that “visited the countryside.” And with the coffee buyers so that the demand for more quality might be combined with price differentials. Third, the “associative-business” awakening also implied a “awakening in production technology”. This implied recognizing that there was a lot to improve in their production areas, and that the training sessions from the state institutions on the coffee market were useful and necessary; then they began to listen to the trainings and observe their fields. It also implied deciding to have a full time technical promoter (who would accompany the members in their fields, as well as produce organic inputs, earthworm and compost fertilizer) that the members can buy. In this way, slowly, they perceived that a responsible management of organic coffee would yield sustainable fruit in the long run, something beneficial even for including different associated crops with the coffee, and for understanding that an open mind with a long term perspective is important. Fourth, adding value to their coffee, getting into the roasting and grounding of coffee, and opening a cafeteria for the public, has multiple benefits. On the one hand, it has allowed you to know more about the yield of coffee, for example, that 1.20 pounds of export coffee is equal to 1 lb of roasted-ground coffee, or that 1 pound of roasted, ground coffee comes from 7.4 pounds of cherry coffee, and that you can get 25 cups of coffee from that one pound. This information is important to them when negotiating differential prices with coffee buyers, because both organizations, the cooperative and the buyers, understand how unjust the New York price is, when it says that 1 pound of coffee is worth US$1.50, and that same pound in the United States or Europe, now roasted, ground and packaged, is worth 10 to 20 times more, and let´s not even talk about once it is turned into 25 cups of coffee. On the other hand, the cafeteria is also a door to agro-ecological tourism for people connected to the coffee trade and for the public in general; this creates an environmental awareness and allows people to understand how coffee economics works and how it is part of the culture of the communities of San Juan; and also deepens the relationship between the cooperative and the organizations with which they are connected. “Every cloud has it silver lining.” The crisis was serious, but at the same time, awakening to it allowed them to make a difference in 12 years. They learned that the relationship between the associative and business parts is the engine of cooperativism; that the formality of leadership rotation is basic, but insufficient; and that a relationship of alliance is a double edged sword, it can be a relationship of complicity for dispossessing the members of their own organization, or it can be an alliance so that they “jump” out of the “boiling pot”, improve the lives of their members, and contribute to non members. If the relationship of the organizations is only with the president or the manager, based only on “papers”, they are on the brink of being dispossessed. If the relationship with the organizations is with that associative/business interaction mediated by immersion processes and transparency on both sides, they are on the brink of repossession. 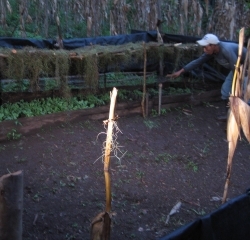 This is the biggest contribution of the La Voz cooperative to the associative world. After these two large steps forward, are they out of danger of being “boiled” like the “frog”? The response is no. In fact, it is said that human beings are the only animal that trips over the same stone. What can be done to keep danger away? In the history of social movements we learn that, after being mobilized “from below”, even the best leaders tend to believe that the people can only be mobilized “from above” – from a political vanguard, manager or market. The cooperative needs mechanisms that would allow it to mobilize itself “from below” (members) to detect in time any increase in “temperature”; that the associative side supervise the administrative side – like the rotation of leaders – it is good, but not enough. How can it be done? Based on research, we should work on an alliance between the cooperative and the University around the formation of students and new associative leaders. Concretely, the cooperative and the Rafael Landivar University (RLU), I mention the RLU because of their historic interest in contributing to a society moved by social justice and not by market justice, should invest in a cafeteria on the central university campus and then in each branch; that cafeteria would be the gateway toward an ecology of knowledge (the science that is taught is ONE knowledge, there are other knowledges produced for example by the indigenous and peasant families of San Juan, and other knowledges); and that relationship would allow the RLU to have a privileged source for formation, and the cooperative would have an opportunity to study itself in a contextualized way. “What good can come from San Juan de La Laguna?” ask those who are mobilized “from above”, like the prejudiced elite asked some 2 thousand years ago: “What good can come from Nazareth?”. In this article the La Voz Cooperative teaches us that working within a plural framework of alliances, keeping the focus on organized families, may be the best antidote for any organization that fights for justice and peace to avoid being “boiled” by market fundamentalism that says that you have to study a major or organize yourself exclusively to make money. René (rmvidaurre@gmail.com) has a PhD in development studies, is a collaborator of the Winds of Peace Foundation (http://peacewinds.org/research/) and an asociate researcher for IOB-University of Antwerp (Belgium). We’ve had some typically hot days this summer in Northeastern Iowa, a combination of high temperatures and high dew points that make simply being outdoors a challenge for many. It’s what we dream about in the depths of winter, but the dream often becomes more of a nightmare in its reality. How soon we forget! On one of those recent days of high heat, my wife and I took our morning walk with the dog early, so that we might capture whatever cool airs of the night might remain. It was a sweaty hike, nonetheless, and I know that all three of us were looking forward to getting back home to air-conditioning. As we approached the midpoint of our walk through the local college campus, we passed by the twin dormitories rising up from the valley and towering over the upper campus. The roof of the buildings caught our attention, as they had brightly-colored banners around the entire perimeter of the roof; workers there were busy with preparations for their day’s labors. Up on the roof. And then my wife and I engaged in an effort at one-upmanship, trying to think of the various jobs that might prove to be most challenging on a day like this: road construction people, field workers, fire fighters, farmers, roofers, cement workers, and so on. In each case, we responded with an exaggerated respect for the people who filled these important roles in our lives, and rejoiced in the knowledge that neither of us would likely ever have to bear the agony of such work in an oven atmosphere. By the time we had exhausted our lists of grueling work in hot conditions, we had moved on through the campus. In front of the main administration building, a man stepped outside. Wearing a crisp white shirt and colorful tie, he moved quickly to his car parked in front, probably eager to get the air conditioning turned on. The contrast with the outdoor workers was not to be missed. The episode got me to thinking about how we value people and their skills, and how we value work in our society (and in most others). There aren’t many of us who would choose to repair a roof or walk a field on such a day as this. For those of us working in more forgiving environments, we are very grateful that we have never been forced into such labors, or at least for longer than a summer’s job. But somehow the value we place on such efforts tends to be modest. It’s too bad that it takes a blistering hot day or a frozen winter’s night or water gushing into our homes to suddenly and fully appreciate the importance of some work. The practitioners of such work are undervalued, until the moment we need them. And while I certainly don’t intend to discredit anyone else’s work, whatever its makeup may be, I carry inside an unwavering respect for those whose work is done with physical strength and integrity of purpose and sometimes in uncomfortable conditions. Some say that it’s menial work. I say that it’s essential service. I suppose that’s what Labor Day in the United States is all about. We just seem to have forgotten about it on most days. 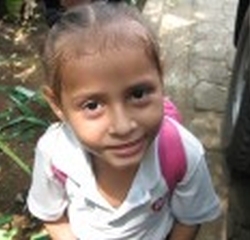 My train of thought may seem to have little to do with a foundation working in Nicaragua. But I wonder how many Wall Street bankers or CEOs could raise a crop to harvest?…. While we’re busy preparing for the second Certificate Program for rural cooperative members and managers, technicians, second-tier coop representatives and others, the focus is on methodologies. After all, we’ve spent portions of the past ten years describing organizational strengthening techniques used successfully in the U.S. in hopes that it might spark interest in the Nica countrysides. Now that rural producers have asked for greater detail about initiatives like open book management, Lean continuous improvement and organizational transparency, the workshop facilitators are eager to deliver such particulars. But as I consider the wealth of knowledge that will be available to our audience in September, I am cognizant of another critical piece to the process of teaching and growing an audience: the vision. Underlying all the operational processes and applications, there must be a vision, a mission, a purpose, a theme for the hard work that the attendees will encounter if they seek to bring an entirely new basket of ideas to their farms and coops. There must be a core principle that can re-direct and drive the improvements consistently, even when the newly-acquired skills might occasionally seem to become stale or seemingly inapplicable for some reason. In moments of frustration or temporary setback, that motivator can keep an organization together, to persevere and regain solid footing for the next advance in their collaborative strength-building. Some organizations employ a vision, a stated “picture” of what the future might be like. Others prefer the idea of a mission, an intrinsically important undertaking whose outcome has the capability of delivering fundamental, positive changes. Still other groups elect to use the language of values, citing social or moral tenets that shape their beliefs and actions. But whatever words are used, the reality is the same: in order for human beings to change, to adapt, to move from their comfort zones, they universally crave a “cause,” a fundamental, personal reason to do that which is difficult to do. In the case of the very successful Panamanian cooperative La Esperanza de los Campesinos (the Hope of the Peasants), that bedrock upon which their success has been built is in the historical presence of Fr. Hector Gallegos, whose spiritual and liberation theological teachings centered the coop members. (See “A Cooperative That Regulates Markets” by Rene Mendoza.) For a company like SRC Holdings in Springfield, Missouri, the birthplace of open book management, the bedrock was the liberation of employee thinking and intelligence through information sharing and involvement. For Winds of Peace Foundation, the bedrock has been the liberation of financial assets to address the dangerous gulf between the poor and the wealthy. Initiatives come and go, but the calling for the each of these organizations survives because of the depth of its existence. These organizations must do what they do. It is in their organizational DNA. The coops represented in the Certificate Program will need to identify and embrace their own “calls to being. ” For some, the cause is already deeply engrained and sustaining the direction of the members. But for others, the identification might be less certain and less steadying. Maybe it has never been articulated in terms of a vision. Perhaps there are several purposes that have been embraced by the members, with no single mission emerging as the great unifier. In some cases, maybe the issue has never even come up; coop membership was simply a way to access funds for the next planting cycle. Whatever the case, every coop will require something to hold onto when the vagaries of weather and middlemen and coyotes of the marketplace interject their disruptions into plans for prosperity. What will the coops bedrock prove to be? When Brian and Alex bring their skills to the Certificate Program, it will not be due to monetary gain (they receive none) or for notoriety (the program will take place in the deep countryside, away from media notice). They will present no political cause, no self-service nor personal advantage. They will spend more than an entire week out of their professional and personal lives because of deep-seated values that inform their senses of servant leadership and responsible stewardship. The lessons and know-how they teach may change between September and the next time they are invited to work with such an audience, but the reasons for accepting such an invitation will not. It is, after all, who they are. Sometime during that first week of September, we’ll be interacting with some very eager Nicaraguans who know precisely who they are….